Your electricity use is easy to ignore—until your electric bill comes in at the end of the month, that is. 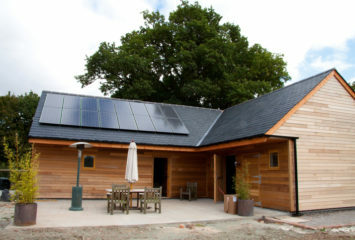 Installing solar panels is a great way to take the bite out of your energy costs, but did you know that you could be reducing your electricity use even further? 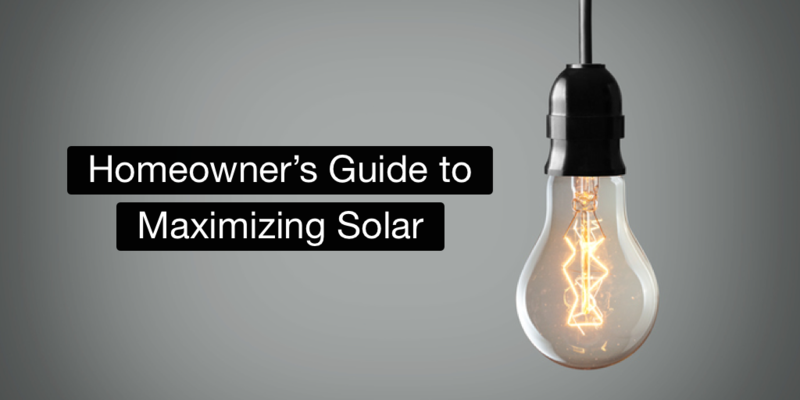 If you want to get the most out of the electricity produced by your solar array, reining in a few energy-wasting habits can cut your usage considerably and produce big savings on your energy bill. The national average electricity use for US homes sits right around 10,000 kWh.1 Heating and cooling are the largest electricity draws for US homeowners,2 but every device or appliance in your home can add to that usage. 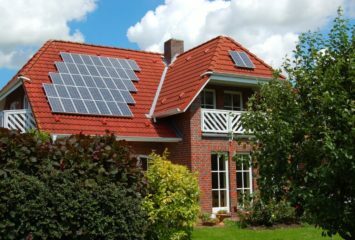 Knowing what all your electricity goes towards is the first step towards reducing your consumption and maximizing the benefit of your solar panels. Take some time to read over your energy bill and identify when big changes happen to pinpoint the potential culprits. Space cooling is the top electricity consumer in the United States, accounting for 247 billion kWh of electricity annually—about 18% of all electricity usage.3 Warmer parts of the country generally rely on air conditioning the most. When temperatures regularly peak over 100 degrees Fahrenheit, homes may need to keep their air conditioning on for most of the day. You can reduce the amount of electricity you spend on air conditioning by ensuring your home is properly insulated and sealed. Small cracks in windows and doors can allow warm air to infiltrate and hike up your cooling bill. By sealing your home’s thermal envelope, you won’t need to run your air conditioning as often, saving both electricity and money. While many US homes use oil or gas to provide hot water, a large percentage of homeowners still use electric heat. A full 9% of all residential electricity use is put towards water heating.4 This water is used for showers, dishwashers, and washing machines, making it a year-round expense. If you use electricity to heat your water, you can save big by reducing your usage. Cut your hot water use by washing your clothing in cold water with specially-formulated detergents. In addition, try to always run your dishwasher and laundry machine with a completely full load to reduce the number of cycles per week. Using low-flow showerheads and taking shorter showers instead of baths is a great way to cut your water use even further. Lighting is a major electricity draw for US homes: it accounts for about 9% of residential electricity totals.5 Luckily, it’s easy to conserve the energy you’re using to light your home. Upgrading all of the lightbulbs in your house from incandescent bulbs to fluorescent or, better yet, LED bulbs will significantly reduce the energy you spend on lighting by as much as 75%.6 If you’re already using LED bulbs in your home, simply turning lights off when not in use is another great way to save energy. You can also set your home’s lights to automatic timers, or practice good light habits with your kids. Televisions and computers are a popular source of entertainment in the US, accounting for 6% and 2% of your home’s total energy use, respectively.7 Computers and television sets also produce heat, which can impact your energy bill if you have them too close to your home’s thermostat—the heat given off may affect the temperature sensor on the thermostat, which can turn on your air conditioning when it’s not needed. It’s easy to forget to turn these devices off when you leave the house, but it’s a good habit to turn them off when not in use. Most computers can automatically shut themselves off after a set period of time, and lots of TV sets also have power-saving modes. You may not have much choice when it comes to the energy use of your refrigerator, but you can still save electricity by upgrading old appliances. A refrigerator alone can account for 7% of your electric bill.8 Your dishwasher is another appliance with a big energy footprint, at 2% of your home’s total electricity use. Upgrading to Energy Star-rated appliances can save you a lot of money in the long run. The Energy Star website has a refrigerator savings calculator so you can see exactly what you’ll save. As for dishwashers, an efficiency upgrade can help you save both electricity and water. Laundry machines use a lot of electricity. Some of this electricity goes towards the motion of your dryer and washing machine, and the rest may go toward water heating if you’re on electric heat. Either way, those energy demands add up. You can reduce your laundry machines’ electricity use by switching to a cold-water detergent, which can bring your washing machine down substantially in terms of energy use. Your dryer still comes in at a hefty 4% of your total,9 but if you consolidate your laundry, you can easily reduce how many times you need to turn it on each week. Making good energy habits takes practice and time; talk to your whole family about reducing their energy use by unplugging small devices when they’re done using them. Automatic timers and power strips with on/off functions are great tools for making it easier to curb small energy vampires. There are even advanced power strips that let you control your electronic devices from an application on your cellphone, so you can save energy even when you’re not at home. Reducing your home’s electricity usage is as much about setting good habits as it is about upgrading lightbulbs and appliances. Saving energy is good for the environment and can help you maximize the green electricity generated by your home solar system. It’s also good for your wallet; by making as many of these small changes as possible, you can save hundreds each month on your electric bill. All the money you’ll save makes being energy-smart a no-brainer.